OM – Its Purpose and Meaning | Be Kind. We're all in this together. The word OM is probably more likely to be recognized by its symbol, even though it is the sound of OM that is the point of focus whenever it is used. It comes from the Hindu scriptures known as the Vedas, which are as old as the Indian culture itself. What is the language and derivation of OM? The word is in Sanskrit, the language of the Vedas, which according to tradition originated at the same time as the Vedas. OM as both a sound and a written symbol is deeply revered in the Hindu tradition, a fact that can be readily understood once its meaning and power are known. The repetition of the word produces a sound that emanates in the form of a benign and beneficent resonance. The symbol, when reverentially visualized, creates a steadying and calming influence on the mind. Moreover, it has these effects even when the meaning may not be fully understood. Vedic tradition teaches that the sounds are all created with an intended purpose, so it is important to follow the rules of pronunciation and intonation, because the resonance is intimately connected with the meaning (and the meaning is also deeply purposeful). In everyday life we all know and have felt how music, whether it is discordant and jarring or pleasing and harmonious, affects our minds. Similarly, pronunciation of Vedic sounds and words such as OM should always be done according to traditional instructions in order to avoid discordance or negative resonance as well as to effect the intended result. Indeed repeating and focusing on this syllable will tend to resolve any existing mental discordance or disturbance. As will be explained further on, when intoned with knowledge of its meaning, it causes the intoner to become aware of his or her ever-present, abiding, complete nature, which is free from all limitations of all types at all times. For these reasons, it is important to understand that in repeating OM one should not break it down into its component three letters but pronounce it as two letters. Nor should one elongate or drag the sound out when chanting it. In order to appreciate the meaning of OM it is necessary to analyze the nature of words. All letters or characters in any language represent sounds, which, when put together in various sequences, create words or names that are in turn associated with forms. For example, in English the word “pot” consists of three sounds put together to create a specific sound that identifies an object. This collection of sounds is always recognized by those who understand that language to be attached to that type of form. The word is never apart from the object in that when someone is talking about a pot, he or she is constrained to use that specific word to identify the object’s form and function. In this sense, the word, its meaning, and its object are inseparable. On the basis of this explanation, what object is the word OM attached to? What function and form should the mind wrap itself around when it hears the word OM? Why are these three letters and their consequent blend of sounds so meaningful and important? And how do you make use of it? In sum, any and all sounds, no matter how different they may be or in what language they are spoken, all fall within the range of these three. Three letters, representing beginning, middle, and end, symbolize creation itself, which consists of constant beginnings, periods of stasis and change, and endings. Hence all of the varieties of sounds and their respective objects in all languages are encompassed by the utterance of this single syllable, OM. 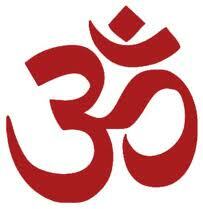 The formation and use of the word OM are ingenious, because they include the entire universe in one syllable. At the same time, by the utterance of OM one is able to appreciate and recognize Ishwara (a Sanskrit word that means “God”), who is the source of the beginning, middle, and end of the universe. Any type of creation can only take place if there is a conscious cause with the intelligent capacity and material to create it. In everyday life this fact is obvious. In terms of the entire creation, it is also abundantly clear that a universe cannot exist without these two causes. Unlike most perspectives involving a creator and creation, the Vedic tradition, particularly Vedanta (whose name means “the end of the Vedas”), teaches that Ishwara is both the intelligent and material cause of this universe, just as you are the intelligent and material cause of your dreams. And just as you are the beginning, middle, and end of that dream, in the same way Ishwara as the intelligent mastermind of the universe permeates all aspects and phases of it and everything that exists within it. Unlike you in the dream, however, Ishwara is in control of this universe. Because Ishwara pervades the universe, all beings and things in the universe are nonseparate from Ishwara. This means that as an expression of Ishwara you essentially consist of the same existing, conscious, and complete nature. Therefore it behooves you to acknowledge and honor Ishwara as well as to acknowledge your own true nature. A simple way to appreciate Ishwara is by the recitation of OM. This is indeed is the intent and vision of the Vedic culture. In order to more fully grasp this vision, since OM is a sound that is made and arises from silence, appreciating the silent basis for sound is also helpful. Silence is the basis for all sound, and silence exists before the sound arises. It exists while the sound is occurring and will still be there after the sound is gone. It also remains totally unaffected as sounds arise, exist, and recede. This means that silence is unchanging even as the sounds change; it is ever-present and therefore timeless. Like all other sounds, when OM is pronounced it emerges as a sound from silence, but because of its meaning it helps the reciter to tune into the silence in way that no other sound can. In the recitation of OM, first there is silence, then the sound of OM, and then silence before the next repetition. Continued repetition in this manner thus encompasses the universe and then points back to the silence that is the basis of OM. Silence exists, but since silence does not have a form and by its very definition no sound can be associated with it, we are left with the conclusion that silence must be the very nature of existence itself. Existence is without qualifiers of any kind, yet it is ever-present and will never cease to be. Put another way, existence is recognized as the eternal “isness.” The one thing that all objects, people, events, thoughts share is their “isness.” We say, “The pot is,” “The chair is,” “The mind is,” “The body is.” Nothing can be unless existence is present first; therefore it is that because of which everything can and does exist. Furthermore, even though everything changes and ultimately goes away, existence does not change or disappear, and neither does silence. Silence would also have to be nonseparate from consciousness because consciousness does not possess or make any sound, yet it is present and aware at all times. This is the same consciousness that is found in one’s mind, and it is ever—silent, allowing all of the sounds of the universe, mental and physical, to manifest. So where is the silence that is nonseparate from existence and consciousness to be found? The universe is contained in space, which itself is seemingly all-pervasive. But space also has a limitation in that, as portrayed by science, it too explodes into being and then implodes and collapses upon itself. Moreover, it derives its “isness” from existence. But neither existence nor consciousness is similarly dependent, and there is no place where existence and consciousness are not found—that is, there is no place or time where either of these is absent. The scope of existence and consciousness contains everything, and by virtue of its all-pervasive nature nothing is apart or away from it. From the perspective of the manifest universe, that enlivening and all-encompassing existence-consciousness is Ishwara. If one looks past the universe, that silent existence-consciousness still remains. It is unchanged and unaffected by the presence or absence of the universe or of space itself. Hence it pervades space while at the same time it is bigger and beyond space. The universe is an effect that cannot be separate from its cause, just as cloth as an effect cannot be apart from cotton, its material cause. The universe contains everything. Therefore whatever contains the universe must also contain everything that can ever be achieved within it and must ultimately be superior to all that the universe contains. This is what is meant by the word “Brahman,” which, for the purposes of this article, can be simply defined as that which is the biggest. Space is not as big as Brahman because space has Brahman as its basis. Thus this silent existence-consciousness is not dependent on space or time, and even though both are found within space, they must, as we have seen, necessarily extend past it. So Brahman and existence-consciousness are similarly described in relation to space. Neither of these is divisible into parts, and because they cannot be distinguished, they must be one and the same. Brahman is the one, indivisible, silent basis that is all-existent, ever-aware consciousness. Because of its all-pervasive presence it is wholly complete and its fullness is always abiding as a silent presence. Thus in the recitation of OM one recognizes the universe as well as the ultimate source, which is Brahman. What, then, is the impact of this OM recitation on the mind? Whenever a person’s mind is fully absorbed in a goal—whether it is a certain ideal or person or object—that the person believes will make life complete, then he or she will pursue that goal with full force, with all the energies, resources, and time that can be mustered. Such an engaged mind is fully absorbed and focused. This is what is meant by the Sanskrit saying Yatra yatra mano yati, tatra tatra samadhayah, which means that wherever the mind goes is the place in which it is in samadhi (that is, a totally fulfilled sense of absorption). Such a mind is so wholly and fully identified with that pursuit that its own identity is often subsumed. While this form of absorption can give a person a sense of well-being and contentment, such satisfaction cannot last because it is always focused on an object or person that is subject to change at some point in time. A satisfaction that changes can never be truly and ultimately satisfying. Yet, by the same token, all that anyone ever truly wants is a lasting satisfaction that is not subject to the peaks and valleys and bumps in the road of life. This type of satisfaction can only be achieved by a mind that is focused on and absorbed in an unchanging, ever-fulfilling end. That end is OM, because as we have seen, it encompasses the entire universe but is not limited to or by it. When one’s mind takes this in full measure, one naturally appreciates that nothing is left out, left over, or left behind. Such a mind is now identified with Ishwara—that is, Brahman as Abiding Fullness. Grasping that vision translates to owning everything while being free from everything and remaining full and complete in oneself. The recitation of OM is useful in many ways, as expressed by Lord Krishna in the Bhagavad Gita 17.23–26, where, in keeping with the Vedic tradition, he advocates its recitation (with the syllables tat and sat added) at the beginning of rituals and charitable and religious acts). But for a person intent on liberation, the recitation becomes a means of focusing and purifying the mind to whatever extent and in whatever way a person requires. This is known as antah karana suddhi. As the word OM is repeated, whether in a meditative setting or in the midst of everyday life, once you see the meaning you are tapping into its essence, which in fact is nonseparate from and never apart from the Creator, Brahman, the universe or yourself. This vision may be recognized in all of the verses or mantras when the meaning of OM is properly and fully understood. It is something like looking at a multifaceted diamond. You can keep looking at it from many different angles, but you are always looking at the same thing. And in this case, it does not get any better than that! Jane (Janani) Cleary studied under Swami Dayananda Saraswati, a renowned teacher and scholar in Advaita Vedanta and Sanskrit, who conducted an accredited course of study at Sandeepany Sadhanalaya at Mumbai, India, in 1978. Since her return to the United States she has been teaching Vedanta classes in affiliation with Arsha Vidya Gurukulam, Saylorsburg, Pennsylvania, and for the past thirteen years has taught the Bhagavad Gita and the Upanishads at the TS Lodge in Deerfield Beach, Florida. This entry was posted in Spiritual and tagged Advaita Vedanta, AUM, Brahman, chant, Consciousness, Hindu symbol, Ishwara, meditation, om, Sanskrit, sound of the universe, The Vedas, Upanishads, yoga. Bookmark the permalink. Always an important sound/phoneme/word/idea to contemplate through the practice of saying it aloud, in the mind, upon the breath, through the body. Namaste.